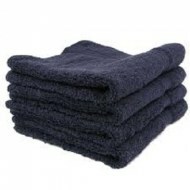 Wholesale Hand towels Black in premium extra soft quality. Made of 100% cotton popular with hair salons, nail salons, gyms, schools, sports teams. Durable and long lasting. Mundane and boring hand towels are a drag. If you’re worried about ordering a bulk order of hand towels that falls short of your necessary criteria or fails to live up to your expectations, don’t be. Add the “wow” factor to your business with chic and classy premium black hand towels. White hand towels are a staple of any business, but you want to go beyond the typical. 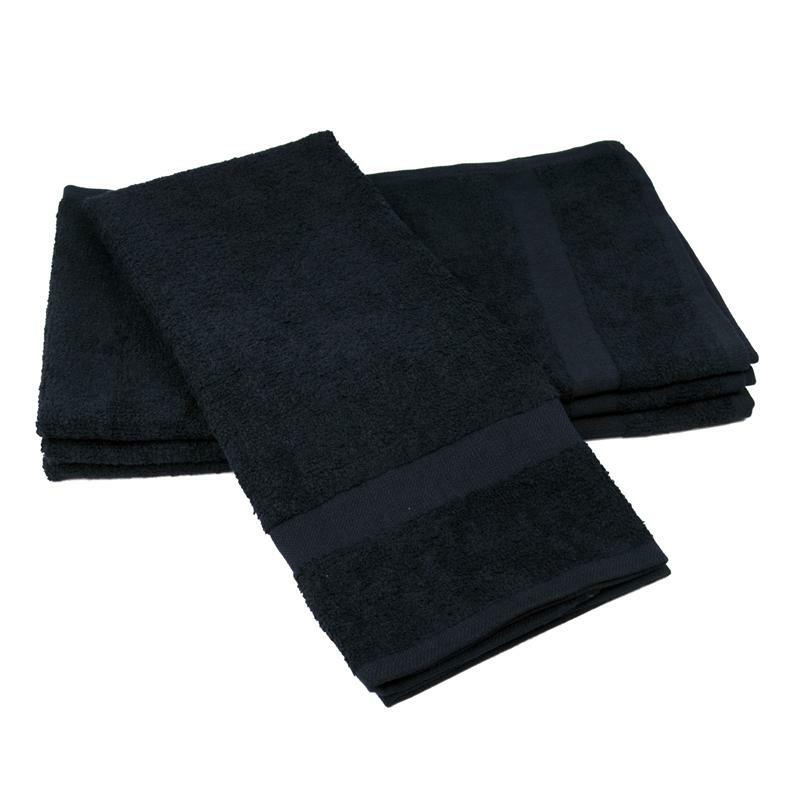 Spruce up your business or home with the added flair of chic premium black hand towels. If you need a towel that not only performs but looks great when it mops up your messes, our line of black towels are made for you! 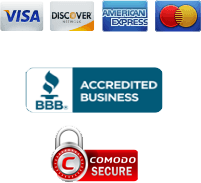 Don’t get stuck with subpar towels that fail to match the excellence of your business or home. Add a sense of aesthetics and beauty with a fashionable splash of color. Matches preexisting décor: Do you have a simple home interior? Does your business have a color scheme that doesn’t match ordinary colors? Regardless of whether your interior design is solid purple or lined with funky and odd print, you’ll find that our line of premium black hand towels matches wonderfully wherever they’re draped. At times, you may want to change up your home or business’s interior, too. Don’t spend extra cash on finding matching towels every time you refurbish your décor. Black goes with every preexisting color scheme while adding an additional flair. Chic and fashionable: Black is the number one color choice in a variety of industries for a reason. There’s nothing more chic than a jet-black fabric that adds a sense of style to any business or home. You don’t have to buy a vibrant or printed fabric to make a statement. 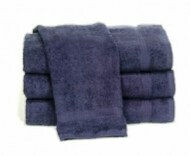 When you use our line of premium black hand towels, you’ll get the same powerful absorbing qualities you expect of a superior crafted towel along with a stylish look. Stain resistant: Black is a color that absorbs other colors. For you, this means less ability to see stains, messes or liquid after your towel is done doing its job. Don’t let blemished towels taint the polished image your company aims to project. Even if your towels do pick up stains, you can rest assured knowing they’ll wash right off after laundering. 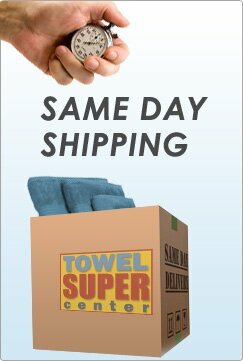 When you place an order at Towel Super Center, you’re taking the next step to lining your house or business with the high-quality accessories it deserves. 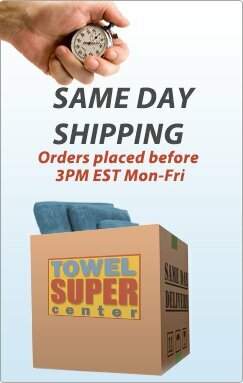 Place your order for wholesale black hand towels today.